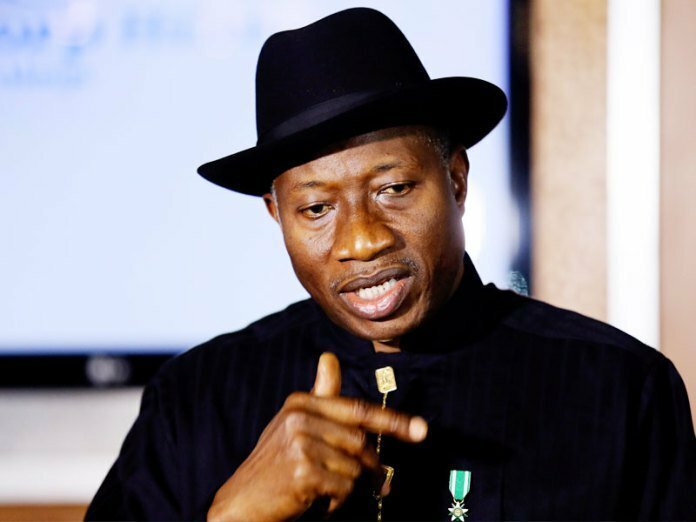 Former president, Goodluck Jonathan, has claimed that ex-US president, Barack Obama meddled in Nigeriaâ€™s 2015 presidential election. TheCable reports that in excerpts of his new book, â€˜The Transition Hoursâ€™, Jonathan said Obama sent his secretary of state, John Kerry and made a video broadcast to Nigerians in ways designed to influence the outcome of the election against him. â€œI can recall that President Obama sent his Secretary of State to Nigeria, a sovereign nation, to protest the rescheduling of the election. John Kerry arrived in Nigeria on Sunday January 25, 2015 and said â€˜itâ€™s imperative that these elections happen on time as scheduledâ€™. â€œHow can the US Secretary of State know what is more important for Nigeria than Nigeriaâ€™s own government? How could they have expected us to conduct elections when Boko Haram controlled part of the North East and were killing and maiming Nigerians? Not even the assurance of the sanctity of the May 29, 2015 handover date could calm them down. In Nigeria, the constitution is very clear. No President can extend his tenure by one day. â€œOn March 23, 2015, President Obama himself took the unusual step of releasing a video message directly to Nigerians all but telling them how to vote. In that video, Obama urged Nigerians to open the â€˜next chapterâ€™ by their votes. Those who understood subliminal language deciphered that he was prodding the electorate to vote for the opposition to form a new government. The message was so condescending, it was as if Nigerians did not know what to do and needed an Obama to direct them. â€œIn his message, he said â€˜all Nigerians must be able to cast their votes without intimidation or fear,â€™ yet his government was vehemently and publicly against the postponement of the elections to enable our military defeat Boko Haram and prevent them from intimidating voters. This was the height of hypocrisy!â€ Jonathan wrote. Jonathan said the foreign pressure on the issue of election rescheduling was intense, suggesting that â€œthe curious postureâ€ was of one who had been â€œdeceived before and therefore had every reason to cede no credence to our position. But there was no reason to have such a postureâ€. He revealed that David Cameron, then the UK prime minister, called to express his concern about the election rescheduling, â€œjust as John Kerry came from the United States to express further worryâ€¦ In fact, John Kerry did not accept our reasons for the reschedulingâ€. The former president said it was â€œunbelievableâ€ because â€œwe knew why the agitation was beyond what meets the eyes. There were deeper political interestsâ€. â€œIn attendance at the meeting of the Council of State where the decision to reschedule the election was taken were almost all the living former Heads of State of this country. That should have convinced John Kerry of the good intentions of the government. He cannot claim to love and defend Nigeria more than all our former heads of state present at the meeting. I have stated earlier how Kerryâ€™s visit was designed to humiliate a sitting Nigerian president and clearly take sides in the countryâ€™s election,â€ Jonathan wrote.